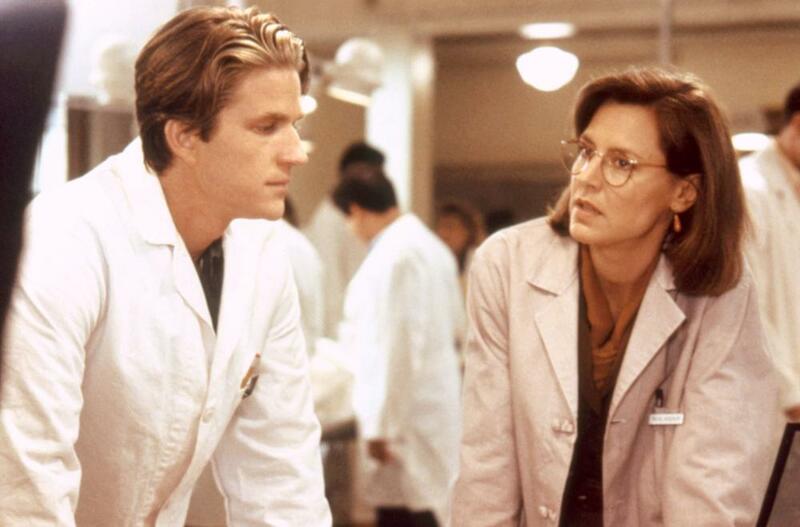 It doesn't get more 80s than Gross Anatomy, even if it was released at the end of 1989; the early 90s were just the late 80s anyway. This era gem captures the essence of the decade, from the mood to the music, and that's why it remains an icon to this day. It isn't perfect, especially looking back on it 30 years down the road, but it retains enough energy to overcome, and that's what matters. All we're asking for from this cult classic is that, when we watch it back, it holds up to what we remember, and that its pieces are strong enough to enjoy after all this time. Luckily, Gross Anatomy has lasting power, at least mostly if not completely, and is still quite fun to watch. 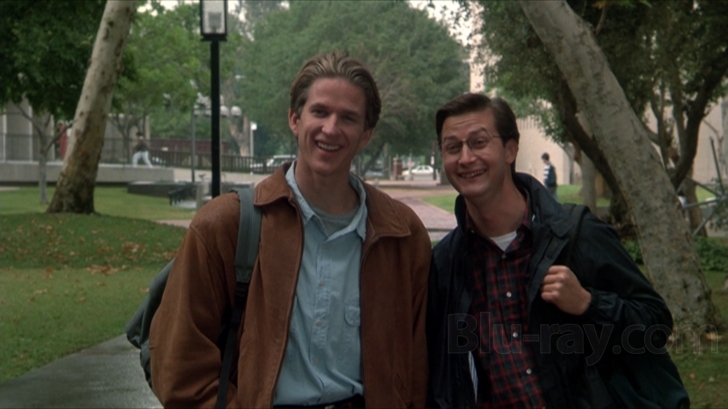 Joe Slovak is just a poor, working-class kid who wants to go to college, but not just college, med school, which is a whole other beast. Joe's grades are good, but they could be better, as he always seems to have one foot out the door and his mind on fun instead of the task at hand. He says he wants to be a doctor, and he has the ability to be one, but he doesn't want to study, doesn't want to take things seriously, and perhaps he's holding himself back out of fear of failure or insecurity of mind. He'll have to bend his will towards making the grade, because the competition is stiff, and the stiffs in the laboratory in the toughest class in school aren't any easier. Gross Human Anatomy will prove to be a career-wrecker, and Joe and the other students break upon the course like a ship on a hidden rock, splintering apart as they try to save each other from drowning. Joe's roommate is David, a neurotic perfectionist who measures his days in 15-minute increments. His group mates are Miles and Kim, two very different personalities but two hard workers. And then there's Laurie, the last member of the cohort, who Joe has his eye on from the first day they meet. She doesn't want anything to get in the way of her goals, he refuses to have any; they aren't exactly a match made in heaven. But their training will being them together, and they'll need one another to survive the grueling test that comes before they can call themselves doctors. 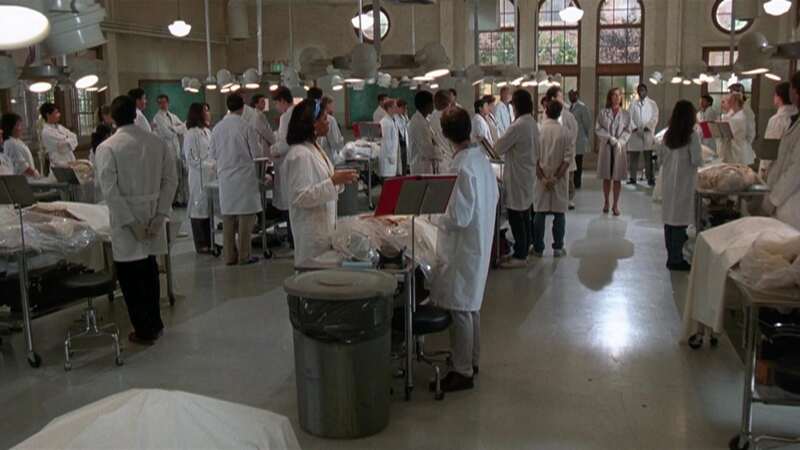 I remembered Gross Anatomy as an 80s time capsule, but I had forgotten its status as an expose on the medical profession, at least on how hard it is to get there. They touch on a lot of things; speed use to stay awake to study, the pressures of parents and expectations to succeed, the complications of family and life outside school, juggling relationships and romances, the taxing hours of study and of work, the near-impossible tests, the class work, the rigor of the process. It's a heavy movie when viewed from that angle, a real thought piece on what we put students through on their way to take care of us. Is the cost too much? It's a profession that we can't do without, but how we treat those who wish to become our healers isn't something to be proud of. And then there's the era element of the movie, the fun and sometimes silliness that we remember it for, how it entertains us with its dated feel and cheesy moments. The music is great, and by great I mean terrible. It's awful and awesome, which describes most 80s songs; it's a style you either love or hate I guess. The clothes, the conversations, the overacting, the editing; it's quintessential for when it was released, and that's why we still enjoy it. The worst part, and what sticks out like a sore thumb, is the acting. 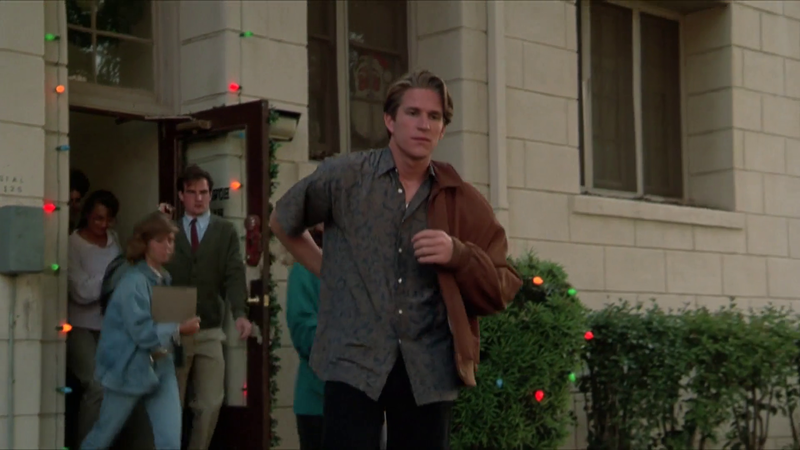 Modine is OK, he was in his element, but god Daphne Zuniga was horrendous. Every scene she was in, and she was in many, was brought down by her inability to even compose simple sentences like a normal human. She peaked in Spaceballs, I guess, but nearly killed this movie with her talent vacuum. Still, you can watch for what the movie is worth, it battles against its own inadequacies fairly well, and remains a cult classic for a reason. Video: With an aspect ratio of 1.85:1 (1920x1080p) and shot using a Panavision Panaflex camera, the video quality of the Blu-ray is what you'd expect from an 80s flick transferred onto a medium that it was never meant to appear on. The picture isn't terrible, it just isn't wonderful, which we all will forgive, knowing that the technology 30 years ago wasn't what it is today. There aren't any frightening flaws, so the video gets a pass. Audio: The disc was done in English DTS, and that's all we get. No subtitles, no other languages, and the soundtrack is only good because it's a throwback. There is a theme song, and it's probably the worst music you've ever heard, so there's that. Extras: The only special features on the Blu-ray are Audio Commentary by director Thom Eberhardt and four trailers. Recommended. It was refreshing to watch Gross Anatomy and to find out that there was more than I remember to the meat of the story. There were some serious issues approached by the end, and I have to imagine there was a significant amount of research put into the plot, so I applaud this film for putting in the work. It's also gloriously 80s, if that's your thing, so that's a whole separate level to enjoy. The acting is mostly pathetic but passable, except for Daphne Zuniga, who was absolutely abysmal. The video is fine for the era, the audio is comical, and there aren't many bonus features, so look elsewhere for technical marvels. But allow yourself to be entertained by this cult classic, because it really does have more to offer than simple nostalgia.